Vacation rental house. Sleeps 13, 5 bedrooms, 4.5 bathrooms. No pets allowed. 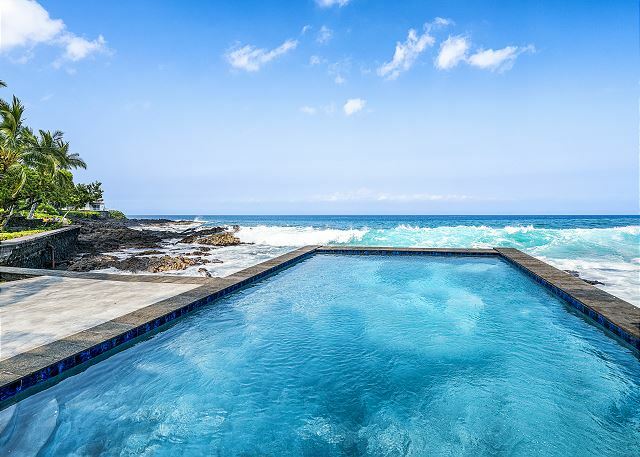 Searching for vacation rentals with a private pool? 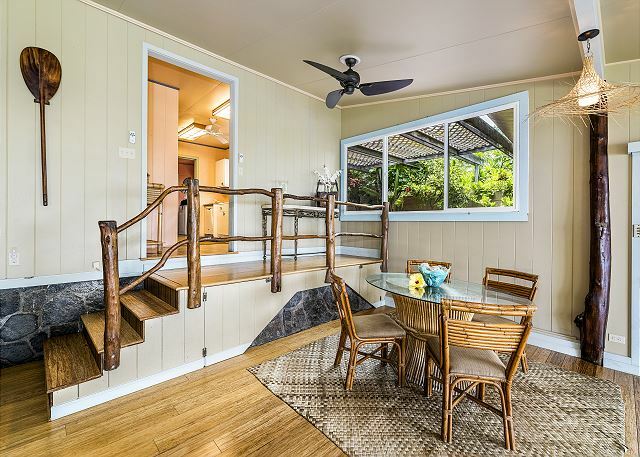 Look no further because this is one of the best vacation rentals with a private pool on the Big Island. 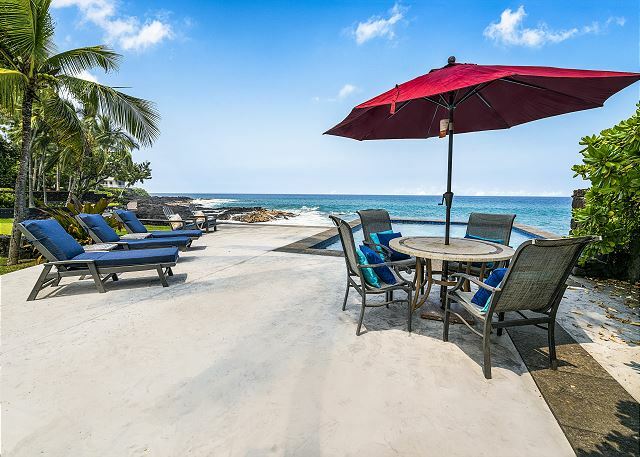 Nestled in an enclosed tropical garden across the way from the Ali’i outdoor marketplace and sitting on its own half acre lot, this Kona style oceanfront home is a true private luxury. 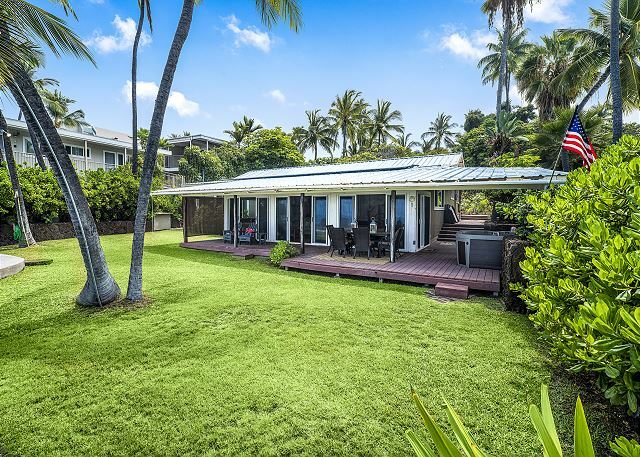 Arguably, the best part of the home must be the privacy from the half acre lot rarely seen in Ocean Front properties along the premier coastline of Ali'i Drive. The home has a spacious, open layout ideal for accommodating large groups. There are two homes on site, both of the homes feature full kitchens perfect for the larger groups seeking spacious private accommodations. The front home which is featured in the images is equipped with 3 bedrooms and 3.5 bathrooms. The back home is a two bedroom 1 bathroom rental. 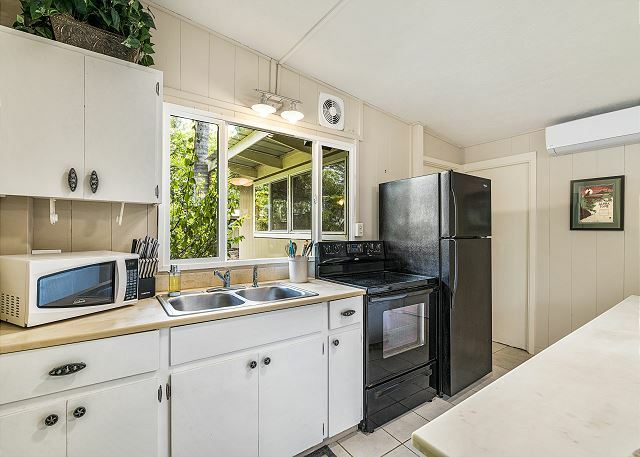 Both homes are equipped with A/C! 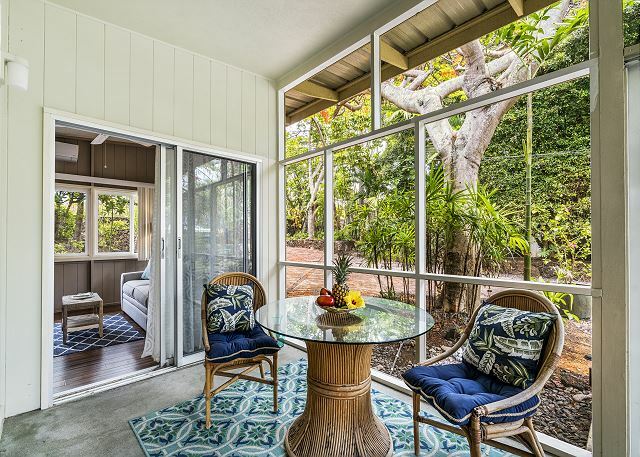 Whether you want to enjoy a day watching dolphins by the home’s spectacular ocean edge private pool, gaze at the awe inspiring sunsets from your jacuzzi, or stroll down to the beach two minutes south of the property, this home offers everything you need to enjoy the perfect vacation. 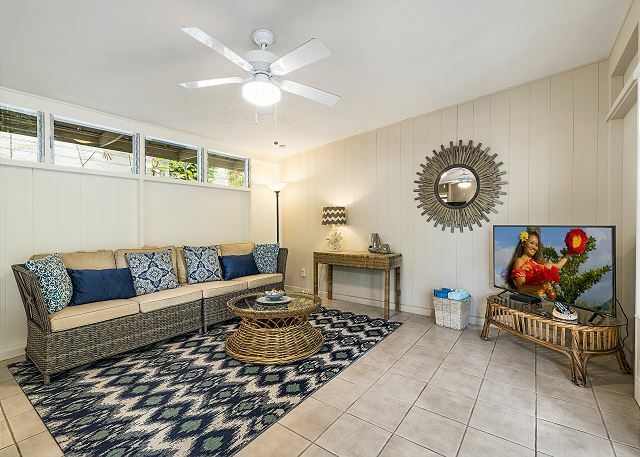 Hale Grace Aloha is conveniently located, a great home base to explore the many wonders of the Big Island of Hawaii including the Volcano National Park, Mauna Kea Observatory, coffee and macadamia nut farms, artist communities, and more! I would not change a thing about this beautiful property. We enjoyed our days with bbq's cocktails, shore dives, and swimming in the pool. Note: not safe for small children with the possibility of falling off the retaining wall at oceans edge. Thank you for posting this 5 star review of your experience at the property! We are happy to hear you enjoyed your stay and took advantage of all the amenities this property had to offer. Thank you. We sincerely hope to see you guys again soon. Simply remember that the best possible rates are found directly through Boundless Hawaii. We had a great time this location. We had 5 couples stay very comfortable at this ocean front property. With the pool right next to the ocean you don't really need to go anywhere else. We only left for a couple of dinners on our 4 night stay. The sunsets from the back yard while relaxing in the pool is one to remember. The property is a little less then the pictures shown but the backyard is worth it all. We will for sure rent this place again. Boundless Hawaii were so great to work with as well during our stay. We can't wait to come back! Aloha! Thank you for posting this 5 star review of your experience at the property! I am happy to hear you had a great time and enjoyed the property views. We sincerely hope to see you guys again soon. Simply remember that the best possible rates are found directly through Boundless Hawaii. 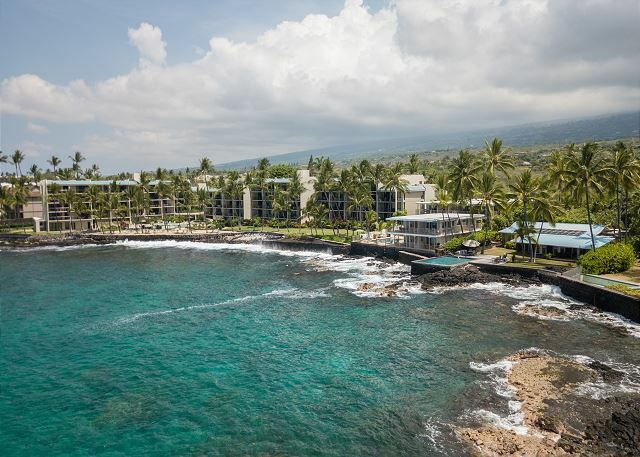 We're glad to hear you enjoyed your time at Hale Grace Aloha! We sincerely hope to see your group again soon. Simply remember that the best possible rates are found directly through Boundless Hawaii. My family and I just got back from 8 days at Hale Grace Aloha. It was a wonderful place to stay. We did a lot of research prior to booking at this house. We knew ahead of time that there was no air conditioning and the three bedrooms were adjacent to each other and could have areas opened to allow sound and air movement through the whole house at night. The pool was an excellent place to cool off. We prepared our meals and ate outside on the back patio with the sun going down several nights. We wish were were still there! Mahalo for taking the time to review your stay with us! 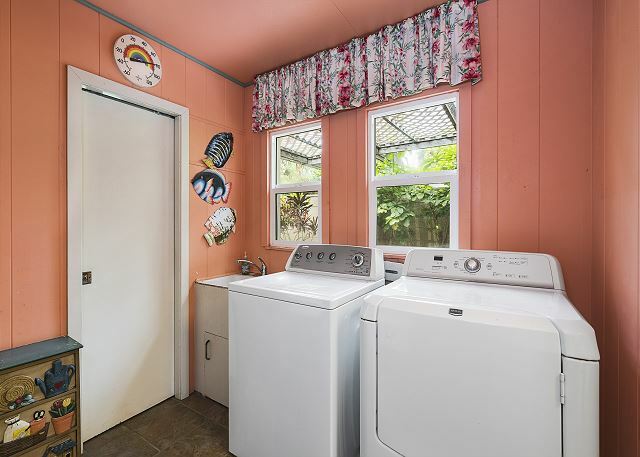 The owner has taken your review to heart and chosen to install A/C throughout! We love for you to return as we are constantly improving the home to better it for future guests. Being a Big Island girl myself, I have never experienced anything like what Hale Grace Aloha had to offer. 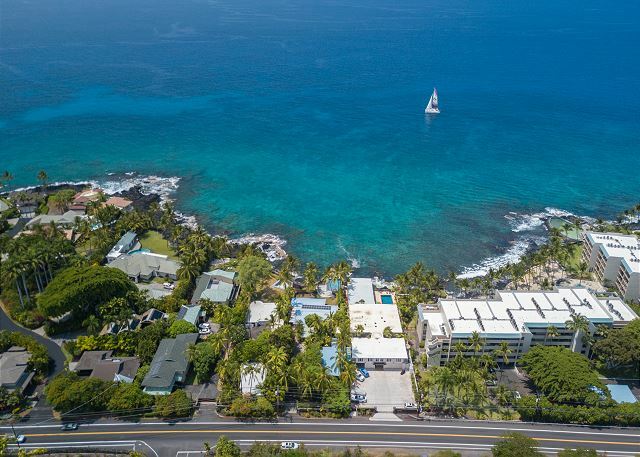 Such a beautiful home with a salt water swimming pool and rocks around that lead right into the ocean for a nice dive/snorkel with lots of fish around. We got to see many many dolphins swimming and jumping by and lots of turtles around. The home has such an awesome setup and plenty of room for our family to join the two of us and to just relax and enjoy. I loved how this property just took us right into an actual beach house setting but with the bonus of that wonderful pool to look right out onto the ocean. We never wanted to leave. The only minor thing we dealt with on our own was, there were only 2 stainless pans (1 small, 1 big) and since it was a sensored stove, we couldn't use my family's nonstick pan they had brought. But it was alright because there was also a gas grill outside :) There's a washer and a dryer :) 3 Bedrooms, all with it's own style, and a full bathroom in each room :) From two of the bedrooms, you can see the outside area and the ocean :) There is WiFi on the property and also many options for movies on the TV in the living area, like Netflix and Roku. Mainly renting from Boundless Hawaii, Nick, the one who has helped me through it all, was such an awesome experience alone. 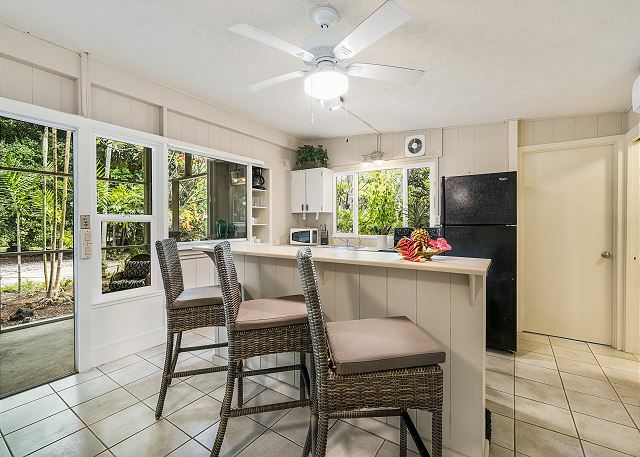 Although I have booked this property last minute, like a couple days right before we went, everything was so quick and simple and all through email and phone. I will definitely be renting from them again in the future and I recommend them to anyone. Even those who answered the phone was very delightful and very helpful. Just everything about my (our) rental experience from Nick, Boundless Hawaii, at Hale Grace Hawaii could not be any better because it was Amazing and Perfect! Jadelyn we're so happy we connected and were able to find you the last minute accommodations! We'd love to host your next family gathering!